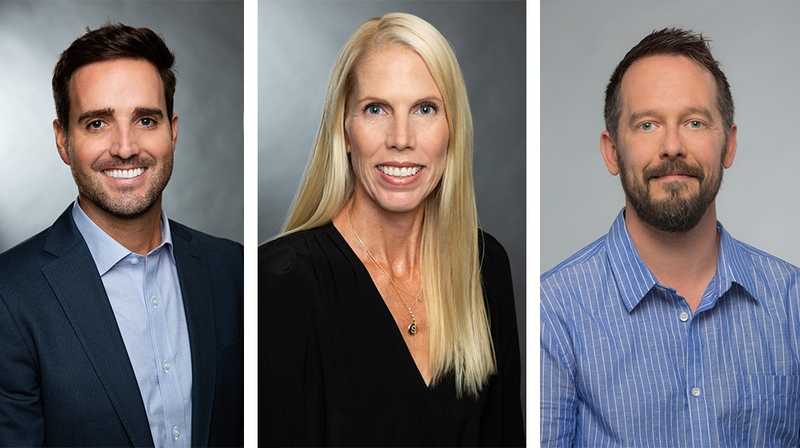 Santa Monica, CA – August 20, 2018 – Skydance has bolstered its creative film and television production teams with the hiring of Julie Schwachenwald as Senior Vice President, Television Physical Production, Matthew Ariail as Vice President, Television Physical Production and the promotion of Matt Grimm to Vice President, Motion Pictures Production. As SVP and VP, Schwachenwald and Ariail will be responsible for managing the production and operations for the Company’s current and upcoming slate of television series. In his new role in the features division, Grimm is responsible for bringing in new material, developing and packaging projects, and is involved in the creative development and production of the Company’s upcoming films including 6 Underground directed by Michael Bay and starring Ryan Reynolds and The Old Guard directed by Gina Prince-Bythewood. Skydance Media is experiencing one of its most successful years across its film and television business. Fresh off the box office success of Mission: Impossible – Fallout, the Company will begin shooting the highly anticipated Top Gun sequel, Top Gun: Maverick, and is currently in production on the latest installment of the Terminator franchise directed by Tim Miller and produced by James Cameron and David Ellison. Its feature film slate also includes 6 Underground, The Old Guard and Ang Lee’s Gemini Man starring Will Smith. On the television side, Skydance will have five series on the air in 2018 with more in development and is a leading supplier of premium scripted content to broadcast, cable and digital platforms alike. Its diverse television slate includes two Emmy-nominated series Grace and Frankie and Altered Carbon on Netflix, Condor on AT&T Audience Network, Dietland on AMC and Tom Clancy’s Jack Ryan on Amazon. Prior to joining the Skydance team, Schwachenwald served as Vice President, Head of Scripted Physical Production at MTV where she supported the big picture of the Company’s needs as well as managed the day to day operations of multiple projects on the slate at various stages of development, production, post and delivery including Awkward, Faking It, Teen Wolf and The Shannara Chronicles. Before working at MTV, Schwachenwald was a freelance line producer for networks such as VH1, MTV and E!, and her credits include shows like Crush, Totally Obsessed, For Love or Money, Duets and Military Diaries. Before joining Skydance, Ariail served as one of the first production executives for International Originals at Netflix which now boasts a large slate of worldwide original series such as Sacred Games, Selection Day, Tidelands and The Witcher and played an integral part of setting up productions across India, Europe, Korea, Japan and Australia. Before Netflix, Ariail served as an executive at BBC Worldwide Productions overseeing scripted series such as HBO’s Getting On, Starz’s Da Vinci’s Demons and BBC America’s Intruders. Ariail has been working freelance production since 2003 on commercials, TV and film before transitioning over to the corporate side of the business in 2007. Grimm joined Skydance as the assistant to Chief Creative Officer Dana Goldberg in 2011. Two years later, he was promoted to Creative Executive where he was part of the creative team responsible for Jack Reacher: Never Go Back, Life and Mission: Impossible – Fallout. Prior to Skydance, Grimm worked freelance production in New York City where his film and television credits included Hope and Faith, Pride and Glory, Reservation Road and Just Wright. Grimm graduated from North Carolina State University with a Bachelor of Arts in Mass Communication. Skydance is a diversified media company founded by David Ellison in 2010 to create high-quality, event-level entertainment for global audiences. The Company brings to life stories with immersive worlds across its feature film, television, interactive and animation divisions. Recent feature films include Mission: Impossible–Fallout and Annihilation. Skydance’s upcoming feature films include Top Gun: Maverick, 6 Underground, Gemini Man and the Untitled Terminator project. Skydance Television launched in 2013, and its current slate includes two Emmy-nominated series, Grace and Frankie and Altered Carbon, Tom Clancy’s Jack Ryan, Condor and Dietland. Skydance Interactive launched in 2016 to create and publish original and IP-based virtual reality video games; their library includes the mech-shooter game Archangel: Hellfire and the upcoming 2019 title The Walking Dead: Saints and Sinners. In 2017, Skydance formed an animation division to develop and produce a slate of high-end feature films and television series in partnership with Spain’s Ilion Animation Studios.